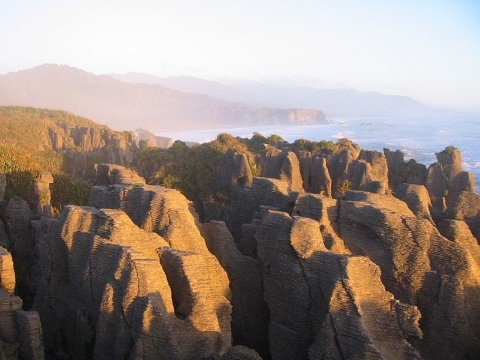 The community lies on the edge of the Paparoa National Park. 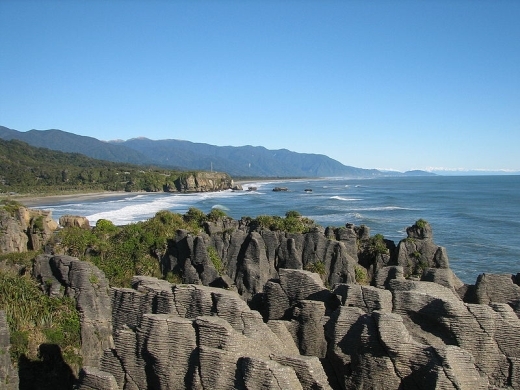 The Pancake Rocks are a very popular tourist attraction at Dolomite Point south of the main village. The Pancake Rocks are a heavily eroded limestone area where the sea bursts though a number of vertical blowholes during high tides. Together with the 'pancake'-layering of the limestone (created by immense pressure on alternating hard and soft layers of marine creatures and plant sediments), these form the main attraction of the area. 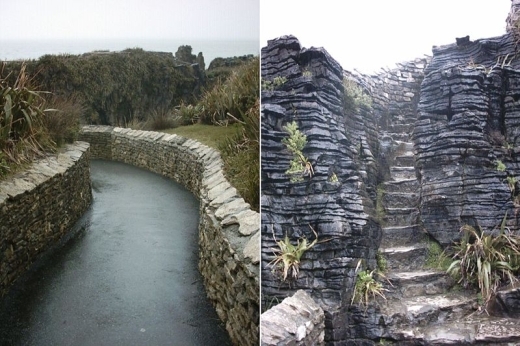 The Pancake Rocks are presently explorable by a number of walkways winding through the rock formations, parts of these wheelchair-accessible and others carved into stairways up and down the rock faces. State Highway 6, the only through road on the West Coast, passes through the town.